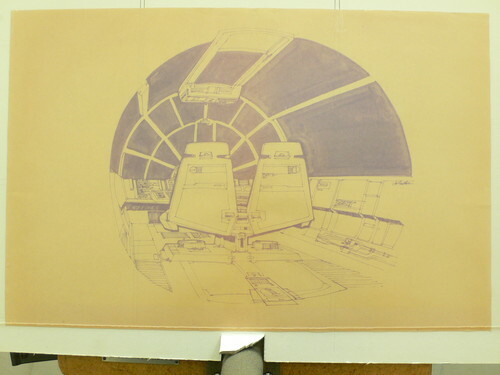 A related, but entirely seperate auction is this Joe Johnston production drawing of the Millennium Falcon’s cockpit from the inside. This is currently on auction with a $495 starting price. This entry was posted in Art, Things that i don't have yet... and tagged Art, Joe Johnston, Millenium Falcon, Millennium Falcon, Star Wars. Bookmark the permalink.